It was just yesterday when veteran actor Sridevi had posted glam photos from her nephew Mohit Marwah's wedding. She looked resplendent and there was no sign of fading out. But the nation has woken up to the shocking news of the icon breathing her last in Dubai. The actor suffered a cardiac arrest and passed away at the age of 54. Janbaaz: It is strange how Sridevi's legendary reputation is built on songs and dances as much as her breathtaking performances. In Feroz Khan's Janbaaz, she had a brief role as Feroz's beloved. But her presence in the glowing orange chiffon sari dancing to the sound of "Har kisiko nahin milta", lingers. Mr. India: A turning point in Sridevi's everlasting romance with the camera. Playing the perky journalist, who hates kids, the actress was just amazing. Shekhar Kapur made her do everything we always wanted her to. If Sridevi's comic timing in the Charlie Chaplin impersonation sequence was impeccable, she oozed sensuality in that iconic blue chiffon sari in the song 'Kate nahin katt te'. Jaag Utha Insan: Though it was Himmatwala that launched her into stardom in Bollywood, it was this unsuccessful nugget of a film produced by Rakesh Roshan and directed by the inimitable K. Vishwanath, where Sridevi shone as a temple dancer wooed by a Brahmin boy (Rakesh Roshan) and a socio-economically challenged underdog (Mithun Chakraborty). Sridevi danced and emoted as though there was no tomorrow. And as long as she did, we didn't care if there wasn't a tomorrow. Sadma: The true coming of age of one of India's finest actresses. As a girl, who after an accident regresses into childhood, Sridevi conveyed all the nuances of her character's predicament without getting over-cute. The performance is so accomplished and complete that it never ceases to astonish. Sridevi's formidable co-star Kamal Haasan thinks she did the character even better in the Tamil original Moondram Pirai. We could say the same about him. Chandni: With this film, Sridevi became a Yash Chopra heroine. Thinned down to a chiselled charmer, and sharpening her subtle emotive skills, Sridevi delivered a knockout performance, which straightway propelled her to the top position. The film was an extended showreel of her talent as she danced, sang, giggled and wept for the love of a tragically wheelchair-bound Rishi Kapoor. Seldom has any Yash Chopra heroine made such sumptuous use of the camera space. Nagina: An awful film, but what an impact! Sridevi as a snake-woman slithering on the floor dancing to Amrish Puri's music as Lata Mangeshkar sang the chartbuster "Main teri dushman, dushman tu mera". Does anyone remember anything else about this hideous Harmesh Malhotra creation? ChaalBaaz: The same year as Chandni, Sridevi wowed movie buffs with her double role as the docile Anju and the tomboyish Manju. Though Dilip Kumar and Hema Malini had done the same double role before, Sridevi brought an added zest to the role. Pankaj Parashar let the actress have all the fun that she wanted. Judaai: Her last hurrah before she bowed out to play wife and mother. Judaai is a crass melodrama directed by the late Raj Kanwar. It also features Sridevi at her absolute best. The way she lifts the most mundane of scenes has to be seen to be believed. Lamhe: Sridevi, as we all know, is addictive. After Chandni, Yash Chopra brought her back to the screen in this bold love story of a girl who dares to love a man old enough to be her father. 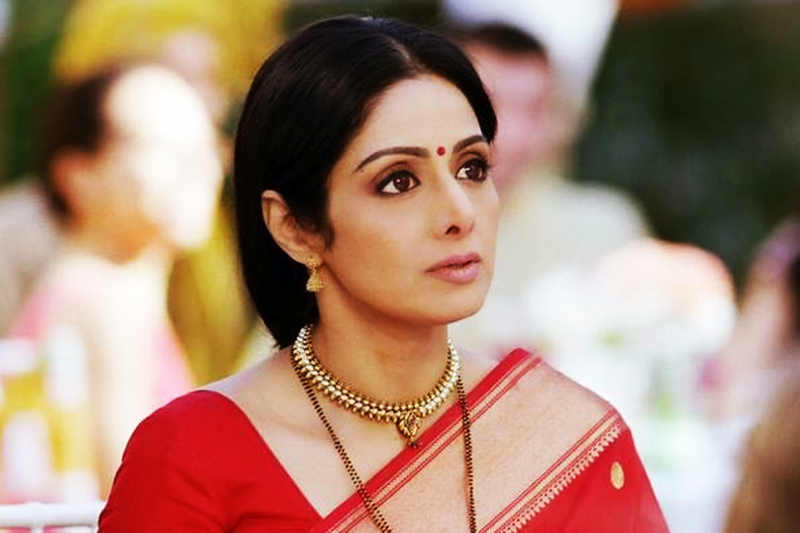 Sridevi played both the mother and the daughter with such distinctive flair that we wondered, could the same actress do so many different spectrums of emotion in the same film? Army: It is the only film that brought Sridevi face-to-face with Shah Rukh Khan. In this film, there is a sequence where Shah Rukh, playing an army jawaan, is brought home dead. All through the film Shah Rukh plays 'I-am-dead' pranks on Sridevi, so she presumes this is also one of those sick jokes. The way she goes from giggling dismissal to shock and finally a breakdown in that sequence, is a textbook of pitch-perfect acting. Sridevi played a gender-reversed Amjad Khan's role in Sholay of a woman, who hires mercenaries to get revenge the villain Danny Denzongpa. As it often happened, Sri was far superior than the material offered to her. English Vinglish: Her comeback film. It proved once again there will never be another Sridevi.